Your Basket Create a free account today! 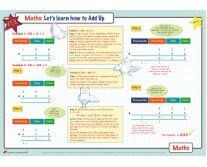 Hands on activities, helping children to learn those tricky basics. A useful link between home and school. Good for revision. 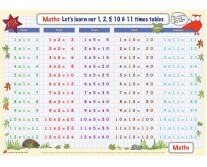 Re-usable, write on wipe clean learning mats. 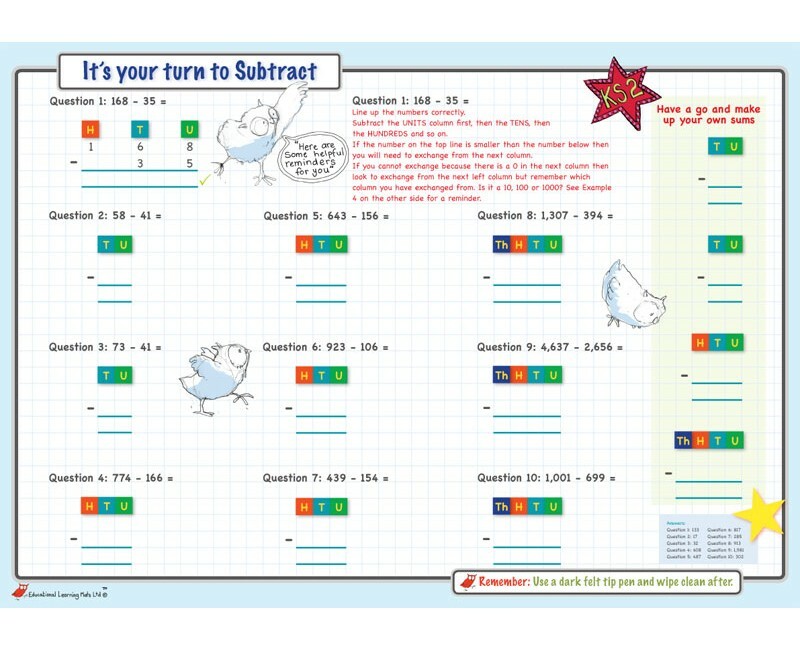 Help with learning how to take away using the vertical subtraction method for KS2 (age 7+). 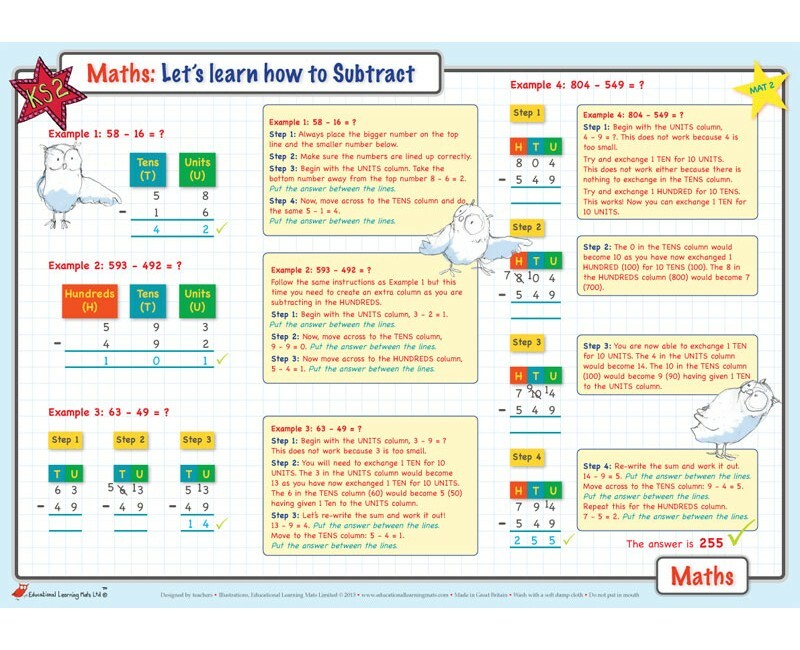 Simple rules of vertical subtraction are clearly explained on the front with examples; on the back children can test their understanding, a little bit at a time. 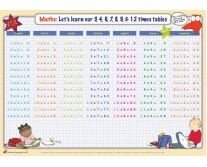 Designed so children can progress from simple sums to more difficult calculations. 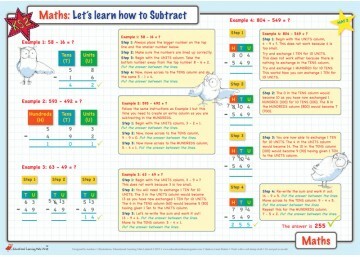 Consistent with national curriculum – as taught in schools.